How to get to and from Kampot, rent bicycles or motos in town, plus our favorite tuk tuk drivers and countryside tours. If you’re staying in the center of town, Kampot is very walkable and you can spend an enjoyable few days cruising around town on foot. For anything further afield you’ll want to hire a tuk tuk or rent a moto. Resorts on the river are, for the most part, too far away to walk into town, so be prepared to pay approximately $4 each way to get into central Kampot. 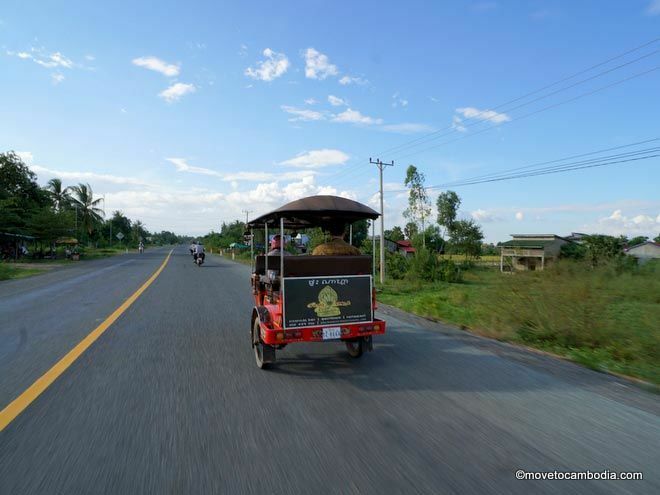 Tuk tuk drivers all offer full-day tours into the beautiful Kampot countryside, and if you are just visiting and have the time you should definitely spend a day outside of Krong Kampot. 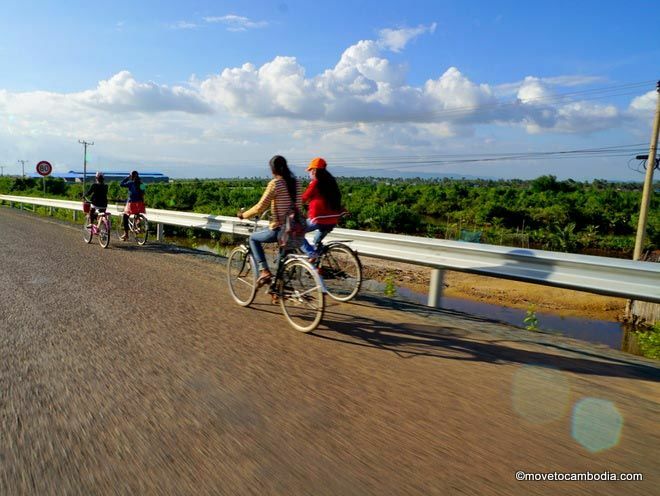 Expats in Kampot get around by moto, so if you’re living there, it’s a worthwhile investment to buy your own. Mr. Vouthy is a friendly Kampot tuk tuk driver who speaks great English. 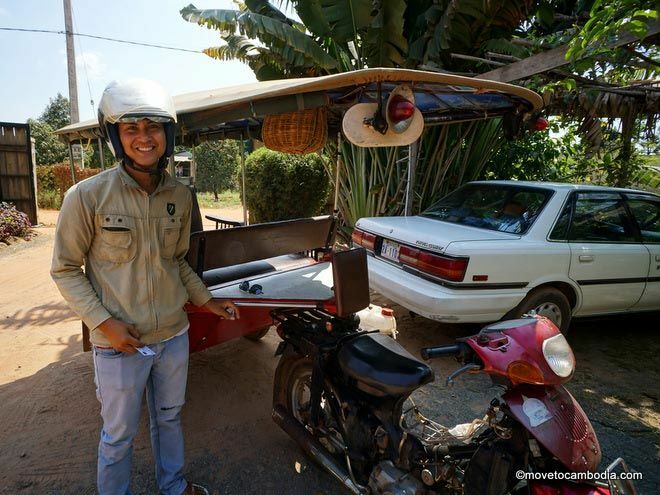 He offers trips around town, but also does full day countryside tours that go to the salt fields, a pepper farm, a fishing village, and Kep for $20 for two people. He’s also happy to organize other tours based on your interests, or take you to Rabbit Island (the pier, anyway) for $15 return. Mr. Vouthy’s numbers are 012 992 013 and 016 606 892. Jack’s available for all of your tuk tuk touring needs. Mr. Vanna and his enormous tuk tuk, which is much bigger than it looks here. 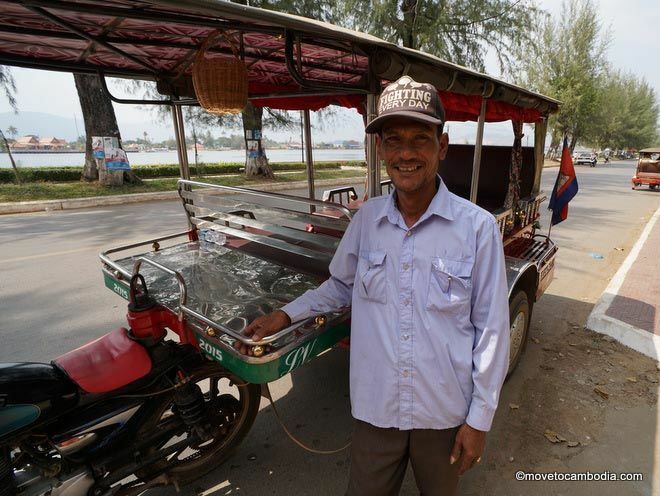 Mr. Vanna has one thing going for him, and that is the fact that his tuk tuk is twice the size of a regular tuk tuk and can easily seat 9 to 12 people. He’s doesn’t speak much English and isn’t particularly reliable (ie. he may not show up at the scheduled time), but his tuk tuk is massive. And that’s got to count for something, particularly if you’re traveling as part of a group. His number is 097 825 7317 and 096 917 0288. Many guesthouses and businesses in town rent bicycles for $1 per day. Ask around and you’ll find one easily enough, but Rainbow Bridge Guesthouse has quite a few. Looking for somewhere to go by bicycle? We recommend cycling to Teuk Chhou. Rent a moto in Kampot for $4 per day. Driving license optional. 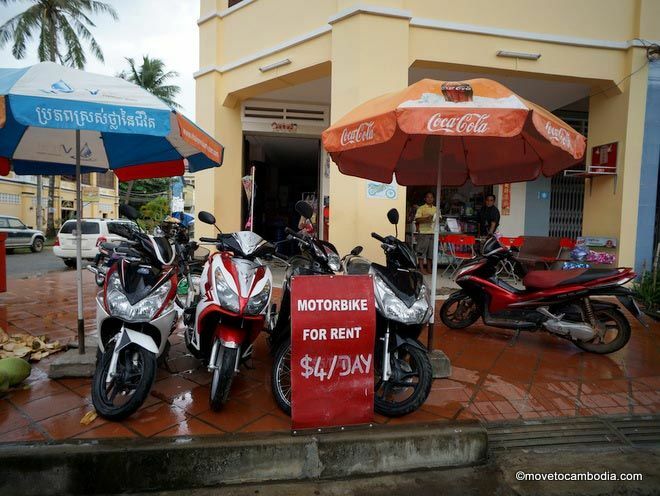 Kampot expats recommend Hong Kimeng Moto Rental for reliable moto rentals. They rent both automatic and manual transmission motos for $4 per day, and most of their collection are relatively new. You’ll need to hand over your passport to secure the rental, but they will provide you with a lock. It is recommended to use your own lock as well, but theft-by-rental-owner is not a known problem in Kampot. Be aware that if you crash the moto, they will not give your passport back until you pay for the damages. That said, when we rented a moto with them they didn’t even inspect it when we returned it. Mr. Dara is a Sihanoukville-based taxi driver who speaks great English and drives all of the Kampot routes for reasonable prices in his Toyota Camry (which he is hoping to upgrade to a Lexus, eventually). His numbers are 016 266 393 and 097 591 8043. 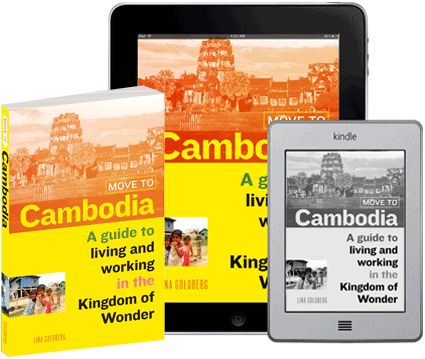 Mr. Heng is a taxi driver who goes between Phnom Penh, Kampot, and Kep for reasonable prices. His phone numbers are 093 433 564 and 089 742 426. Get around Kampot by tuk tuk and see the beautiful countryside. If you’re going from Kampot to Kep for the day to eat crab or just moving on in that direction, we’ve got all of the options in our guide about how to go from Kampot to Kep (and vice-versa). For day trips, catching a tuk tuk, renting a moto, or the new shuttle boat are the best options. Taxis and buses are another option, particularly if you’re only doing a one-way trip. Whether you’re heading from Phnom Penh to Kampot for the weekend or in the other direction on a supply run, we have all of the transportation options for getting from Phnom Penh to Kampot (and vice-versa) including taxi, bus, and mini-bus. One of our favorite options is Giant Ibis; read our full review of the Phnom Penh-Kampot mini-bus. 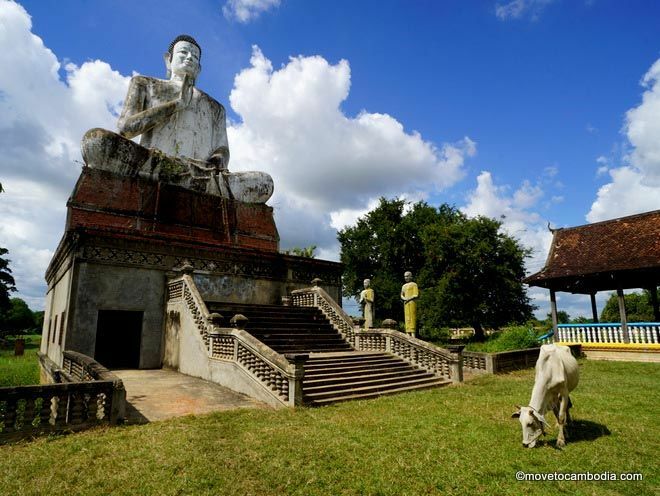 It’s not too far from Kampot to Sihanoukville, so if you want to fly to Sihanoukville from Phnom Penh (or Siem Reap), you can easily get to Kampot from there. We cover private and shared taxis that drive this route in our guide on how to get from Sihanoukville to Kampot (and vice-versa).